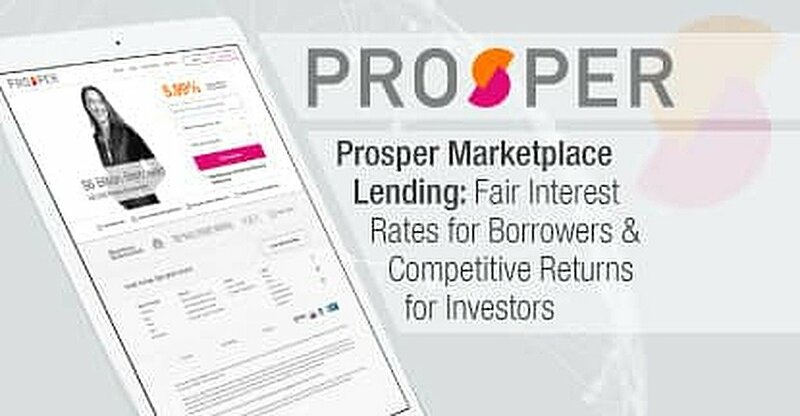 In a Nutshell: The Prosper Marketplace connects people who want to borrow money with those that have money to invest. These loans have fair interest rates, better terms, and superior convenience over a traditional bank loan. Prosper is the original marketplace lender with over $6B in funded loans to date, and anyone who meets the qualifying criteria can invest in a Prosper loan with as little as $25. Having grown by nearly 1,500 percent in recent years, Prosper is recognized as one of Silicon Valley’s fastest-growing FinTech companies. With a decent credit score, accessing a loan at a fair rate shouldn’t be an issue, and yet for many it still can be. Brick-and-mortar banks aren’t handing out loans with interest rates that compete well with those of Silicon Valley “FinTech” juggernauts who are disrupting traditional financial institutions and the way consumers handle their money. For about a decade now, marketplace (or peer-to-peer) lending has been steamrolling its way through old-fashioned bank lending and offering consumers a new and improved way to borrow, with superior customer service and convenience, and most importantly — better interest rates. Many people utilize marketplace loans to refinance high-interest unsecured debts such as credit cards. Founded in 2006, Prosper is the original marketplace lender (MPL). Since its launch, rival marketplace lenders – or what American Banker refers to as the “me too” MPLs — have steadily appeared, having realized the entrepreneurial and consumer-facing value of the concept. To separate itself from the increasing competition, Prosper remains focused on its mission to advance its borrowers’ and investors’ financial well-beings. Just last year, Prosper acquired BillGuard — an award-winning personal finance app — to provide its users with a suite of powerful tools that help advocate smarter financial decisions. Today, Prosper is the only peer-to-peer lending company developing financial management products that educate consumers and allow them to manage and protect their finances. “Prosper offers fixed-term, fixed-rate loans with competitively priced interest rates to people with good credit. The loan terms are transparent and easy to understand and there are no pre-payment penalties,” said Prosper’s CEO, Aaron Vermut. “Many people borrow through Prosper to refinance high-interest debt, helping them get on top of their finances. People also borrow through Prosper to pay for large purchases. The fixed-term, fixed rate loan is a smart alternative to paying for large purchases that won’t be paid off in full within one month,” he added. To get started, fill out the preliminary form and agree to the terms and conditions. Prosper will perform a soft credit check to determine your eligibility and provide rate estimates and potential loan offers. If qualified, you’ll select an offer and proceed to the full application, and your loan request will then be listed on Prosper’s Marketplace. The Prosper Marketplace is where investors will review your request and decide whether or not to fund a portion of your loan. As long as your personally identifying information checks out, Prosper will formally approve your loan request, and assuming your listing has received sufficient investor commitments to fund, your loan will be deposited in three to five business days. Once the loan originates (i.e. is funded), a hard credit check is posted. All loans are funded by WebBank, a Utah-chartered industrial bank, member FDIC. Some states — Alaska, California, Idaho, Missouri, Nevada, New Hampshire, Oregon, Virginia, and Washington — have financial eligibility requirements. Every loan application is assigned a Prosper Rating – a proprietary system that allows Prosper to maintain consistency in its evaluation. Prosper Ratings allow potential investors to easily consider a loan application’s level of risk because the rating represents an estimated average annualized loss-rate range to the investor. “For Notes purchased since July 2009, every Prosper investor with 100 or more Notes has experienced positive returns. 100 Notes can be obtained with an investment of just $2,500,” according to Prosper.com. Choose which loans you wish to fund and see your returns deposited into your Prosper Investment Account. Creating your Prosper Investment Account takes just two minutes, and you can invest as little as $25 in each loan listing you select. Prosper then deposits your returns directly into your account. 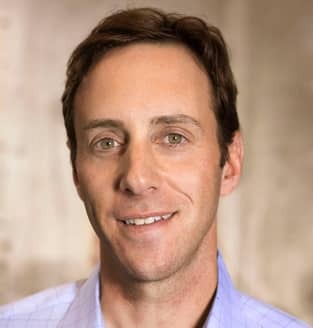 Prosper has grown by 1,434 percent in recent years, and recognized as the 24th-fastest growing company on Deloitte’s Fast 500, the 3rd-fastest growing company in San Francisco, and named one of Forbes’ FinTech 50. The tremendous growth in this industry is indisputably impressive — Morgan Stanley estimated that MPLs will encompass 8 percent of consumer unsecured lending and 16 percent of small business lending by 2020. Whether you’re looking for a loan with a lower interest rate than what you’re currently paying, or an investor looking to diversify your portfolio with the added benefit of lending a financial hand to your peers, Prosper is a good place to achieve either of those goals. Visit Prosper.com for more information.